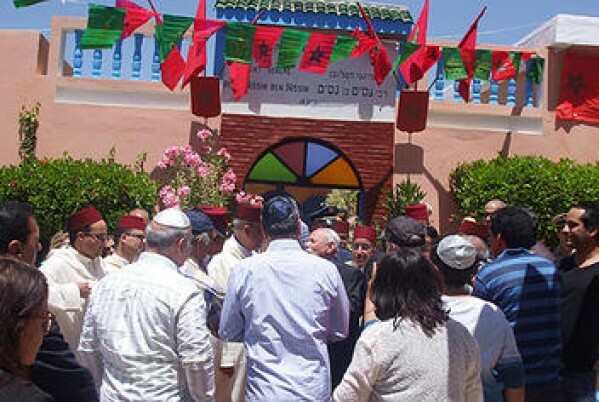 Maghreb Arab Press (Essaouira, Morocco, May 19, 2014) — The Moroccan Jewish community marked the annual festival of Rabbi Nessim Ben Nessim over the weekend in the Aït Bayyoud village, province of Essaouira. Pilgrims from Morocco and abroad came to Essaouira to participate in this festival, which opened in the presence of the Essaouira province governor, Jamal Makhtatar, head of the Ulema provincial council, Mohamed Menguitte, head of the Jewish community of Agadir, elected and local authorities. The members of the Moroccan Jewish community expressed on the occasion their attachment to their homeland, Morocco, prayed for the souls of the late Kings, HM Hassan II and Mohammed V, and implored God to grant long life to HM King Mohammed VI and the entire Royal family. The province governor underlined that the festival showcases Moroccan Jews’ attachment to the Alawit throne, stressing that co-existence and tolerance have always been values that distinguish Morocco in the region. He also urged transmitting these values to the young generations and promoting and preserving this legacy which is the foundation of Morocco’s rich and diversified identity.